One portion of the series deals with the music of Africa. The first presentation was “Origins and Diaspora” back in October. It was a unique, interactive chamber music experience that explored West African musical traditions and influences in classical music with members of the Chamber Orchestra of Philadelphia. On March 13, there will be a presentation titled “Call and Response: African American Composers.” Some of the featured composers will be Jeffrey Mumford, Ulysses Kay, Shawn Okpebholo and Coleridge-Taylor Perkinson. Sandwiched between the two will be “Africa Defining Influence on American Music” on February 20 at 7:30 p.m. at the Annenberg Center for the Performing Arts. The host and main performer will be South African-born Philadelphia musician Andrew Lipke. 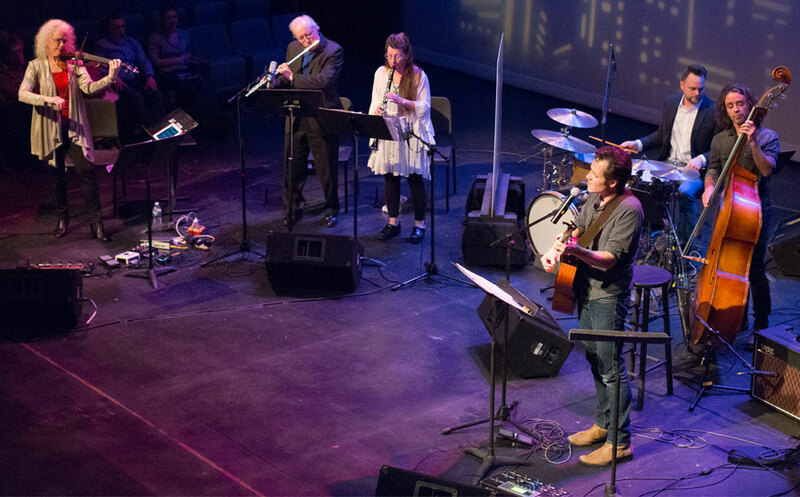 “intersect” is a bold venture celebrating the common DNA shared by music in all its forms and showcasing the phenomenal musicians of The Chamber Orchestra of Philadelphia. 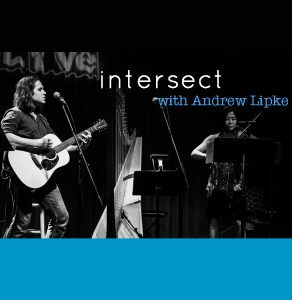 Led by Lipke, a Philadelphia singer/songwriter, composer, and producer, in collaboration with Music Director Dirk Brossé, every “intersect” event encourages audiences to challenge their conceptions of where one genre of music ends and another begins, while enjoying a collaborative performance in a relaxed, informal atmosphere. In juxtaposing seemingly polar styles, intersect illuminates the universal nature of music. “I’ve been working with the Chamber Orchestra of Philadelphia for about four years,” said Lipke, during a phone interview Monday afternoon from his home in the Fishtown area of Philadelphia. “This project has evolved during that time – to look at music through a different lens. This segment looms at defining the influence Africa has had on American music. Back in that era, music from Africa quickly entered a fusion with indigenous music wherever it went. Sonically, it’s easy to hear the connection between Haitian creole music and West Africa or to discern the link between the music of Gloria Estefan and the Miami Sound machine with the early roots of Afro-Cuban music. Lipke is looking to dig deeper – much deeper. Africa’s vast influence on western classical and popular music styles is immeasurable. Though it would clearly be impossible to complete a comprehensive exploration of this enormous impact in one show, this installment of “intersect” will follow a few lines of influence as they weave their way through multiple musical decades, composers, performers and genres. From ragtime swing of Scott Joplin and Delta blues of Robert Johnson, to the minimalism compositions of Steve Reich and the “borrowing” of international music by Paul Simon, the concert will explore some specific moments that were informed by African musical traditions and that inspired American musicians throughout our history. This performance will feature works and arrangements by Wayne Shorter, Bob Marley, Andrew Lipke, Vusi Mahlasela, Fela Sowande, Paul Simon, Steve Reich, Robert Johnson and Scott Joplin. During his years as an undergrad in Philly, Lipke put together a band called Metagrove, which later changed its name to Revisor. Lipke disbanded the group to pursue his solo career. Lipke also spent more than a decade playing keyboards in the Led Zeppelin tribute band Get the Led Out. “Get the Led Out played 130-140 shows a year,” said Lipke. “That project took a lot of time – too much time so I left in June. “I’ve been working on an album cycle based on the Herman Hesse book ‘Siddhartha”. The first album – titled ‘Siddhartha’ – came out in 2015. The second album – ‘Kamala and the Child People’ – is finished and should be out soon. Lipke has a very impressive musical resume. He has performed as a vocalist with several prominent American orchestras (Indianapolis Symphony, North Carolina Symphony, Colorado Music Festival Orchestra) and has produced dozens of records for local and regional artists as well as releasing five solo albums. Lipke has always valued music education and through his involvement with the Philadelphia based non-profit LiveConnections, he has collaborated with several members of the Philadelphia Orchestra and other prominent local and regional musicians creating collaborative, cross-genre presentations for young people highlighting the transformative and boundary-crossing nature of music. Onstage, Lipke has performed as a rocker playing keys and doing vocals for his own group along with other bands. He has performed with large ensembles and orchestras. His show at Annenberg will feature a new configuration. Video link for Andrew Lipke — https://youtu.be/NjyU4_cXG_c. Video link for Chamber Orchestra of Philadelphia — https://youtu.be/svg3kK4AK68. The show at Annenberg Center on February 20 will start at 7:30 p.m. Tickets are $35. Another interesting “theatrical” piece in Philadelphia is being presented now through March 10 at Theatre Exile (1340 South 13th Street, Philadelphia, 215-218-4022, theatreexile.org) – “An Oak Tree” by Tim Crouch. Opening Night is February 20. “An Oak Tree” is a darkly comic and moving play about loss, the power of suggestion, and the magic of the mind. A parent loses a child, a stage hypnotist loses his mojo, nothing is what it is. It’s like they’re in a play – but they don’t know the words. The only rules with this production is that there are no rules. Theatre Exile favorite Pearce Bunting is joined by a new actor each night. These new actors walk on stage having neither seen nor read a word of the play they’re in… until they’re in it. A breathtaking performance exploring a unique relationship — between a hypnotist and his subject, between one actor and another, and between an audience and the play itself. According to the show’s director Joe Canuso, “‘An Oak Tree’ is a high-wire act, a crapshoot, the ultimate game of chance. I actually think it is the ultimate Exileshow. We have always talked about our style of acting as ‘living in a moment of truth no matter how dangerous that moment is.’ There is nothing more dangerous and more truthful for an actor than not knowing what’s going to happen next and not knowing what the other actor is going to give you. “This will be the first show in our new space. We couldn’t have opened it with a more appropriate production. Everything in the building may not be finished and the paint may still be drying, but we will have lights and chairs and an empty stage and that’s what this play is about. It’s about the magic of theater. It’s about creating something from nothing. It’s about showing the artifice of art. “An Oak Tree” first previewed at the Nationaltheater Mannheim in Germany and premiered at the Traverse Theatre in Edinburgh, Scotland in 2005. It has since toured the world, including in North America where it ran for three months at the Barrow Street Theatre in Manhattan in 2006 and 2007. In 2009 “An Oak Tree” was presented at the Hong Kong Arts Festival. 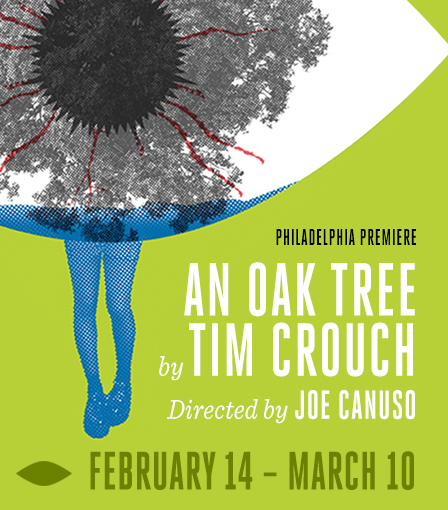 “An Oak Tree” playwright Tim Crouch is an OBIE award-winning British playwright and theatre maker. He was an actor for many years before starting to write – and still performs in much of his work. His plays for adult audiences include “My Arm” (Prix Italia, 2004), “ENGLAND – a play for galleries” (Fringe First, Herald Angel and Total Theatre Award, 2007), “An Oak Tree” (OBIE, 2007), “The Author” (a Royal Court Theatre commission and winner of a Total Theatre award, “what happens to the hope at the end of the evening” (Almeida, 2013) and “Adler & Gibb” (a Royal Court Theatre co-commission). Crouch has also written for younger audiences, including “Shopping for Shoes” and a series of five plays inspired by Shakespeare’s lesser characters. He has worked as a writer on other projects including Mayfor Probe Dance Company and Cadavre Exquis for the Dutch company Kassys and has worked in collaboration with the Nature Theatre of Oklahoma and Nicole Beutler. Theatre Exile’s next production will be “Among the Dead” by Hansol Jung from May 2-26. The schedule of performance dates and visiting actors for “An Oak Tree” is: Feb. 20 (Grace Gonglewski), Feb. 21 (Amy Smith), Feb. 22 (Dito van Reigersberg), Feb. 23 (Zosia Mamet), Feb. 24 (Evan Jonigkeit), Feb. 27 (Emmanuelle Delpech), Feb. 28 (Makoto Hirano), March 1 (Catharine Slusar), March 2 (Maggie Siff), March 3 (Leonard C. Haas), March 4 (Amanda Schoonover), March 6 (Jennifer Kidwell), March 7 (Carlo Campbell), March 7 (John Jarboe), March 8 (Genevieve Perrier), March 9 (Paul Giamatti) and March 10 (William Zielinski). 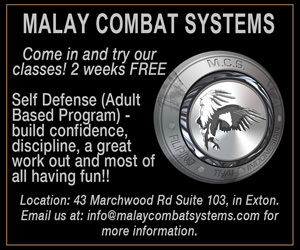 Ticket prices range from $10-$50.